Here’s Why: Wow — cheese lovers rejoice. A nutritionist recommended this product to me — she tells me her clients love it. Obviously I had to try it for myself (along with about ten friends). The taste is off the charts, and the best part is that one or two wedges will satiate even the insatiable. This cheese is also perfect for the modified Atkins dieter who is looking for low fat and low carbs. Scrub and wash one baking potato. Slice into eighths (lengthwise). Cover a baking sheet with aluminum foil, and spray the foil lightly with cooking spray (e.g., Pam). Place potato wedges on the tray, and mist the potatoes with cooking spray. Sprinkle with onion powder, garlic powder, onion flakes, salt, pepper, and paprika. Then sprinkle potatoes with one tablespoon of flavored breadcrumbs. Reapply a light coat of cooking spray. Bake for approximately 40 – 45 minutes, or until desired crispness. Spray a light coat of I Can’t Believe It’s Not Butter Spray before serving. Here’s Why: This was suggested as a #calorie bargain by a reader. It’s ideal if you’re craving chocolate, and it uses Splenda as the sweetener, so there is no aspartame. 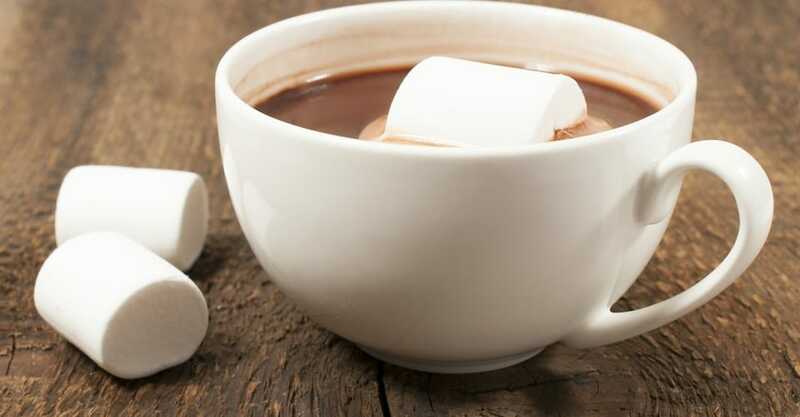 How can you go wrong with only 25 calories — for hot chocolate? When I first started losing weight, this was a comforting treat whenever my sweet tooth kicked in. Here’s Why: I received a number of e-mails from readers recommending these crisps; plus my family and friends swear by them. In fact, most people who eat them regularly are a bit fanatical. I was reluctant to try them at first. I thought, “Soy — how good could they taste?” I finally broke down and had some, and I was impressed. They really are an excellent snack, especially if you’re in a “chips mood.” You can eat an entire bag without any guilt — the company actually calls it their “portion control” bag. Here’s Why: A number of West coast readers emailed about how great these can be for dieters and — lo and behold — they are. The good news is that they are low in carbs; have no trans fat, added sugar, or saturated fat; contain soy flour and are very high in fiber (8g). You can enjoy them with eggs in the morning (instead of toast), or use them to make low calorie pizza (spread with low calorie tomato sauce and sprinkle with part-skim mozzarella) — the possibilities are endless. Here’s the bad news — this product is in huge demand (especially by the low carb diet groups) and they can’t make them fast enough. For the low carb versions, there is a two to three week wait if you order from their website (www.latortillafactory.com). They are also available in some food specialty stores and #health food markets. Send in your favorite “calorie bargains” to info@thedietdetective.com. If your idea is published, you’ll receive a $20 check and a FREE copy of the book Breaking the Pattern.